i haven't knitted in a long, long time. 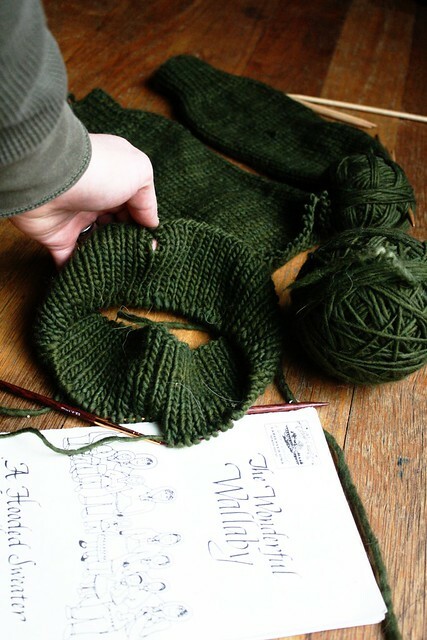 i first got stuck on this pattern when a ball of yarn went missing, then i couldn't find the needles, and at last when i finally had it going - i came to a bit of math...... i always ask my husband to figure out the math to my knitting patterns. i know i should just do it, but there it is. then the pattern went missing (for months), and i lost a ball of yarn again (so i didn't even entertain the thought of buying another pattern). now, they have finally both turned up (yarn and pattern). there is just the matter of two holes to mend (which seems really wrong before it is even knitted), and that math. so, i don't think it will end up fitting colden as intended, but it could fit azalia, and maybe get me knitting again? joining the yarn along today (and added the button to my sidebar)!